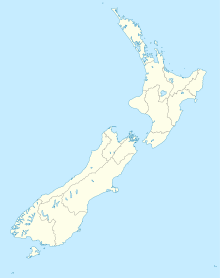 This is a complete list of the universities in New Zealand, of which there are eight. The former University of New Zealand ran from 1870 to 1961. It was a federal university composed of the six earliest universities as constituent colleges, and issued degrees to their students. In 2013, the universities provided tertiary education to over 180,000 students or 132,553 equivalent full-time students (EFTS). * i. ^ Predecessors established in 1895. ^ a b c "The NZ University System". Universities New Zealand. Archived from the original on 2015-03-20. Retrieved 2014-11-08. ^ "The Tertiary Education Performance Report 2013". The Tertiary Education Commission. Retrieved 2015-03-08. ^ Ariel Zirulnick (2010-09-16). "New world university ranking puts Harvard back on top". The Christian Science Monitor. ^ "We're fighting above our weight when it comes to uni rankings". The Australian. 2012-07-18. ^ Indira Samarasekera and Carl Amrhein (2010-10-03). "Top schools don't always get top marks". The Edmonton Journal. Archived from the original on 2010-10-03. ^ "QS World University Rankings". QS Quacquarelli Symonds Limited. Archived from the original on 2015-03-15. ^ "THE World University Rankings". Times Higher Education. ^ "ARWU". Shanghai Ranking Consultancy. Archived from the original on 2015-01-19. Retrieved 2014-08-17. This page was last edited on 12 April 2019, at 05:06 (UTC).